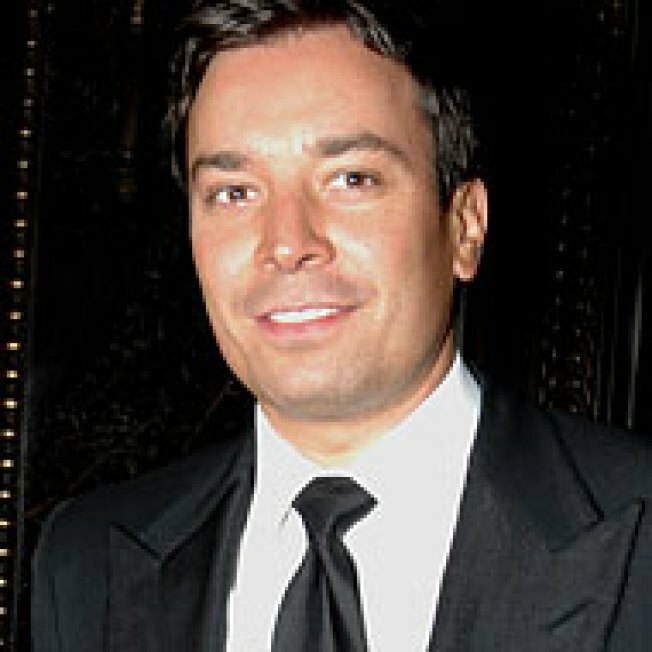 Jimmy Fallon dropped out of the College of St. Rose in Albany after three years of study, leaving to pursue his comedy career just one semester short of graduation. He never went back to class, but he'll finally get his bachelor's degree in communications (his original major was computer science — awesome) fifteen years late. On Saturday, the Late Night host will be granted his diploma and speak at the school's commencement ceremony. But this is no honorary degree! The comedian had to actually earn his last credits by presenting a portfolio of his work in the field of communications since he left school. Which is a hilarious technicality, when you think about it. What on earth would you submit in this portfolio? The Best of Jimmy Fallon on Saturday Night Live DVD? A four-hour clip reel of him playing guitar and singing stupid cover songs that were only funny because Jimmy is cute? A Blu-Ray of his landmark film work, Taxi? Or a little something from this particular masterpiece? In the comments, please let us know what you'd include.